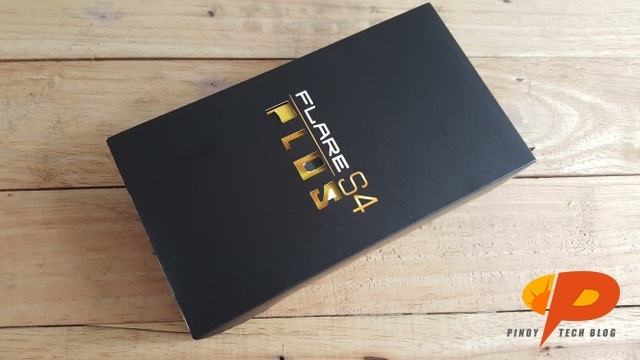 Leading the pack of the new Flare smartphones is the Cherry Mobile Flare S4 Plus. 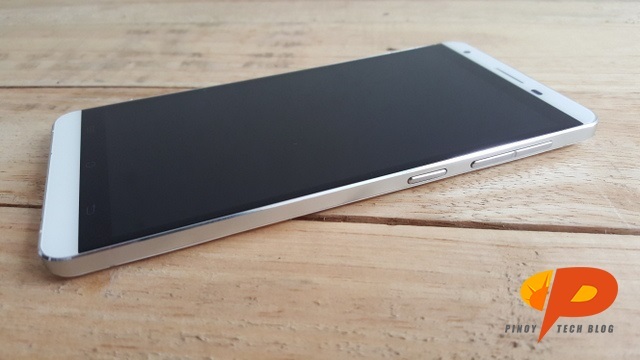 At Php 7,999 it has more RAM, bigger display and resolution, better cameras and battery capacity. But is it a worthy purchase for its price? 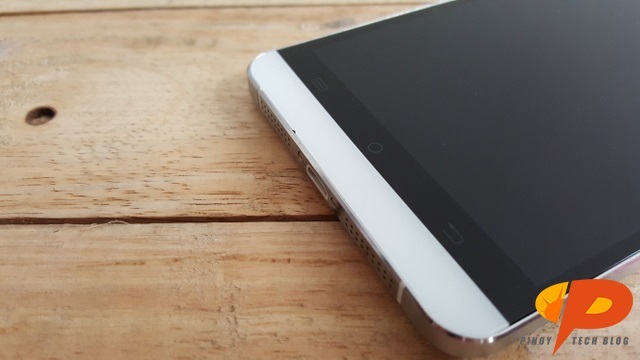 Know more about this premium Flare smartphone by reading our review below. 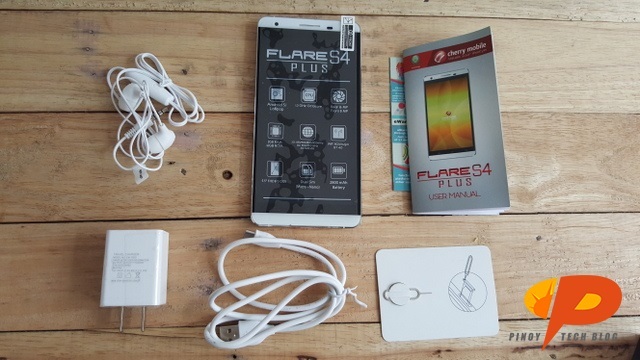 The Cherry Mobile Flare S4 Plus makes a statement with its premium design right out of the box. 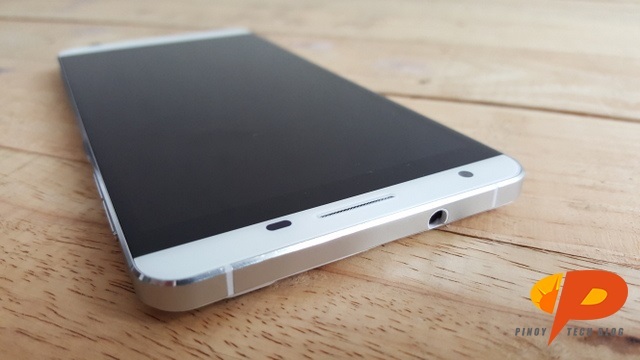 It has a beautiful glossy glass display and pearl white plastic back cover wrapped in a brushed aluminum alloy frame. 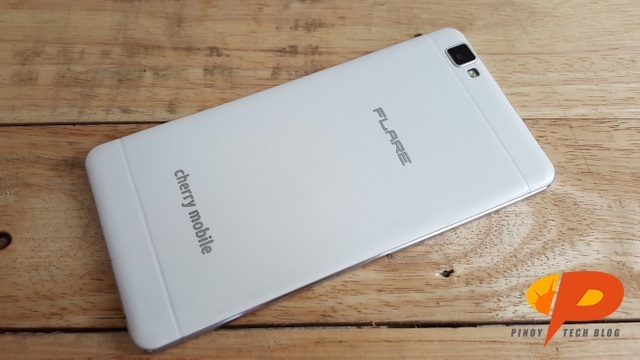 The Cherry Mobile Flare S4 Plus offers a nice, solid build but feels a bit heavy in the hand. Inside the box are the user manual, in-ear headphones and sim card tray opener/ejector pin. 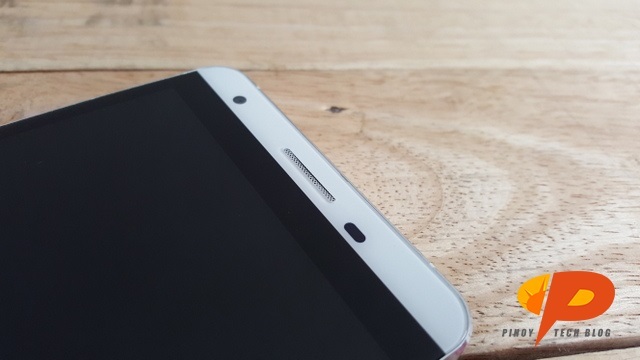 On top of the display are the front camera, proximity/light sensor and earpiece, accentuated by a silver mesh grill. What’s missing is the charging indicator. Surrounding the Flare S4 Plus’ display is a black border, creating an illusion that its sides are bezel-less. 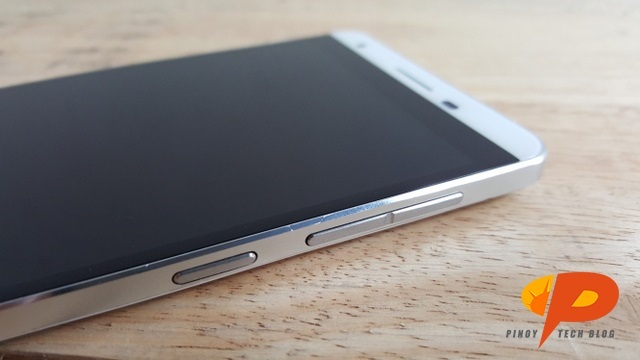 Sited on the black bezel are the physical (Menu, Home and Back) buttons. The buttons are not illuminated and are barely noticeable. 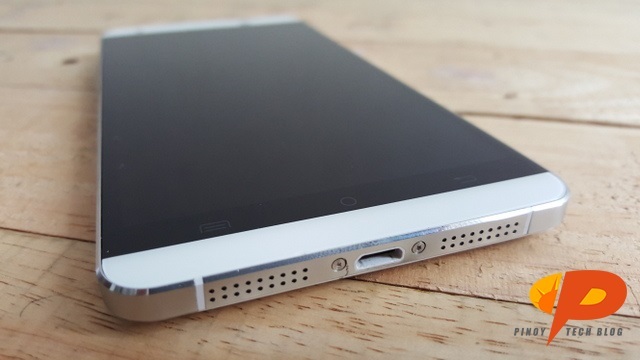 The Flare S4 Plus’ silver, chiseled sides bear a striking resemblance to that of the iPhone 4/4s. At the bottom is the micro-USB port, in between the screws and the speakers. The SIM and micro-SD slots are located on the left side. 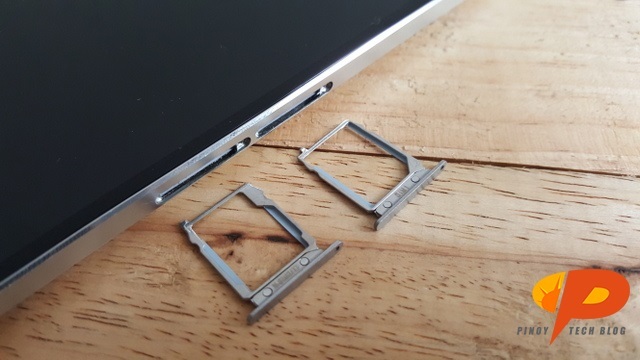 The Flare S4 Plus uses a nano SIM and micro SIM. 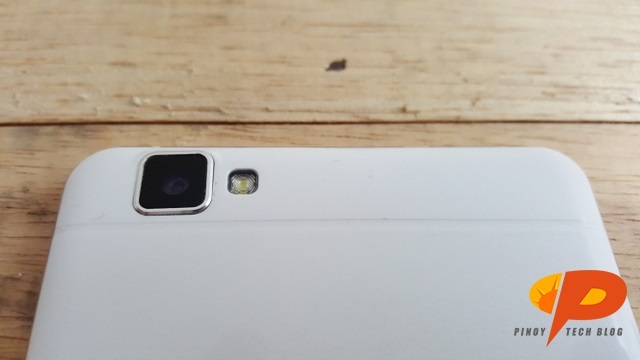 The first slot (on top) houses the nano SIM as well as the micro SD card. The hybrid design does not allow you to use the nano SIM and micro SD card at the same time though. The bottom slot houses the micro SIM. 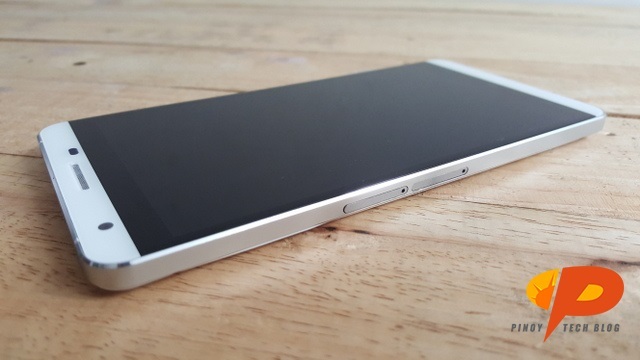 Unlike the Flare 4, the volume controls and power button are all placed on the right side. The Flare S4 Plus’ non removable back cover is slightly rounded, providing a better grip to the smartphone. At the top left corner are the camera and flash, underneath are the silver ‘FLARE’ and ‘cherry mobile’ embossed labels. 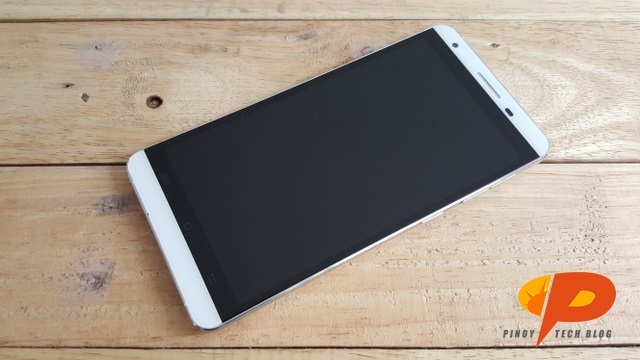 While both the Flare 4 and Flare S4 have 5-inch HD displays, the Flare S4 Plus offers a larger 5.5-inch screen with higher Full HD (1920x1080p) resolution at 401 ppi. 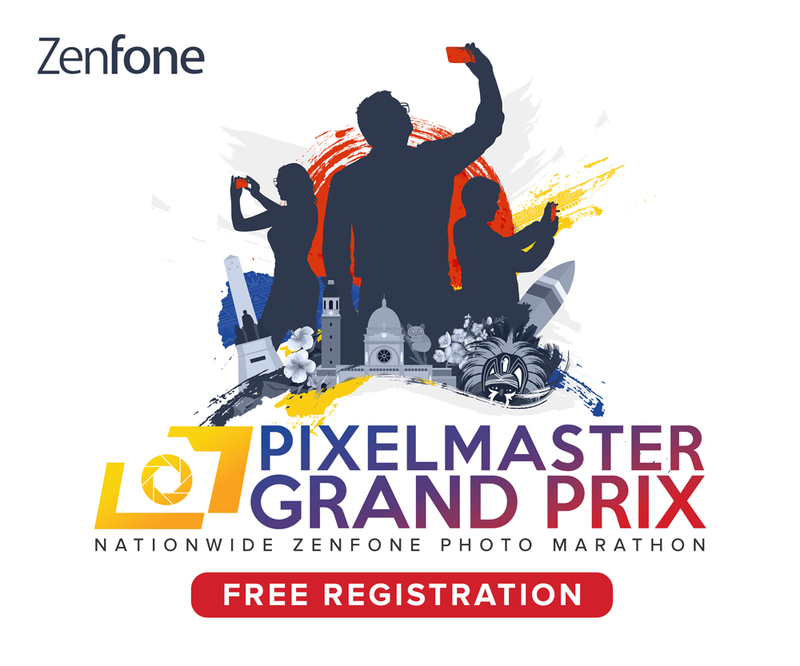 Its IPS display is equipped with OGS or One Glass Solution touchscreen technology which basically uses thinner display materials, thus providing a more responsive screen. 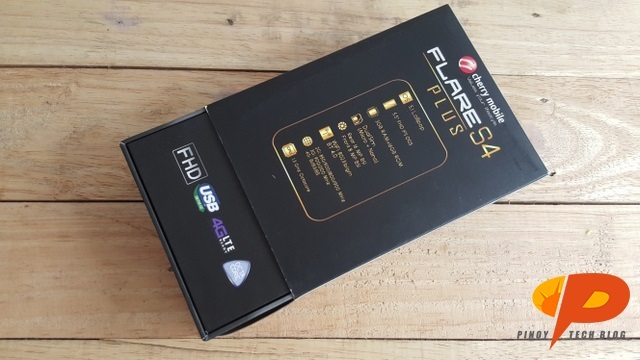 During our tests however, we found the Flare 4’s display more responsive than the Flare S4’s. The Cherry Mobile Flare S4 Plus has one of the brightest displays I’ve seen in a local smartphone, colors are accurate and viewing angles are excellent. 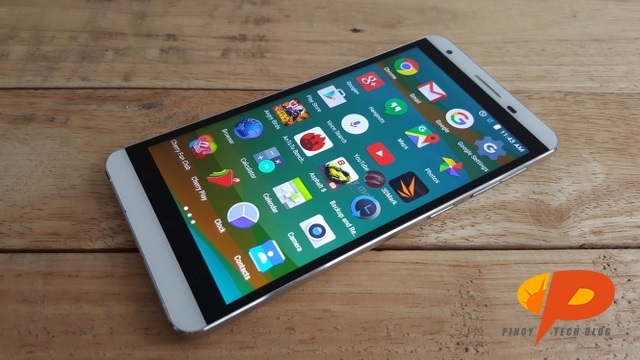 Overall, the display is sharp and is comparable to high-end smartphone brands. Sound quality on the other hand is average and isn’t something that would knock your socks off.